MAT Orange Riddle Area Rug - Black White - Swatches may be available. Hand Tufted. Contemporary. 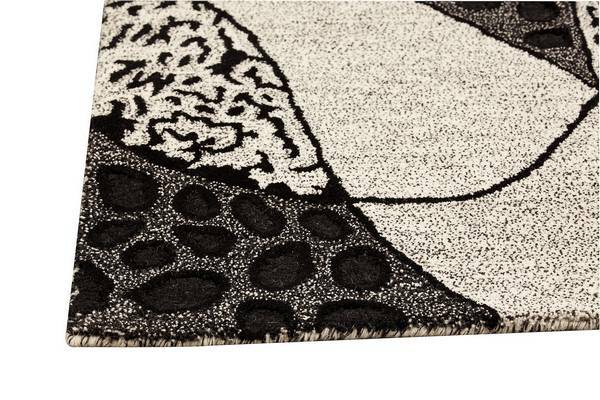 The abstract Riddle rug is a piece of art in its own right. 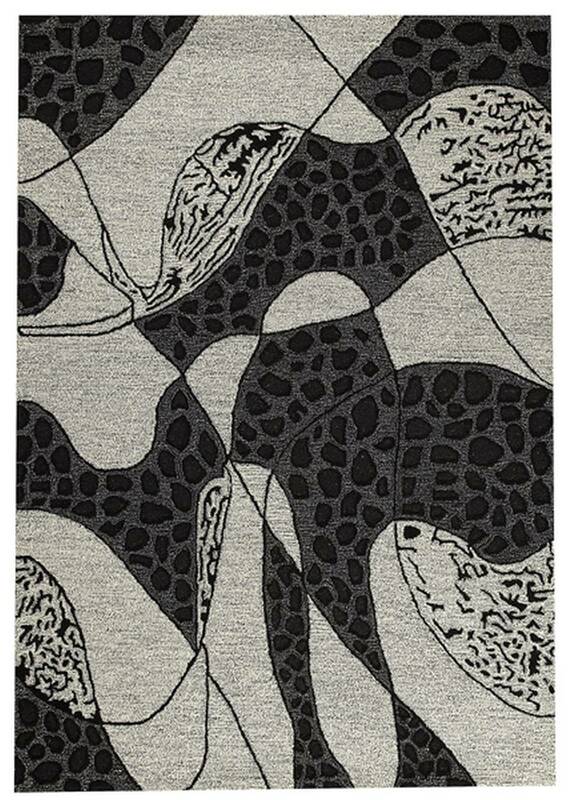 Gorgeous curved lines criss cross and loop around filled in with giraffe spots in a moody gray and black colorway that is ideal for a updated loft style home. Get lost in this rugs interesting design for hours. Artisan hand-tufted with European wool, this rug is available in select sizes only. Hand Tufted with 100% European Wool Blend. Abstract. Cut and Loop; High Low; Hand Carved. (.5 inches). Made in India. MAT Orange Riddle Area Rug - Black White 7'10"x9'10"
MAT Orange Riddle Area Rug - Black White 5'2"x7'6"